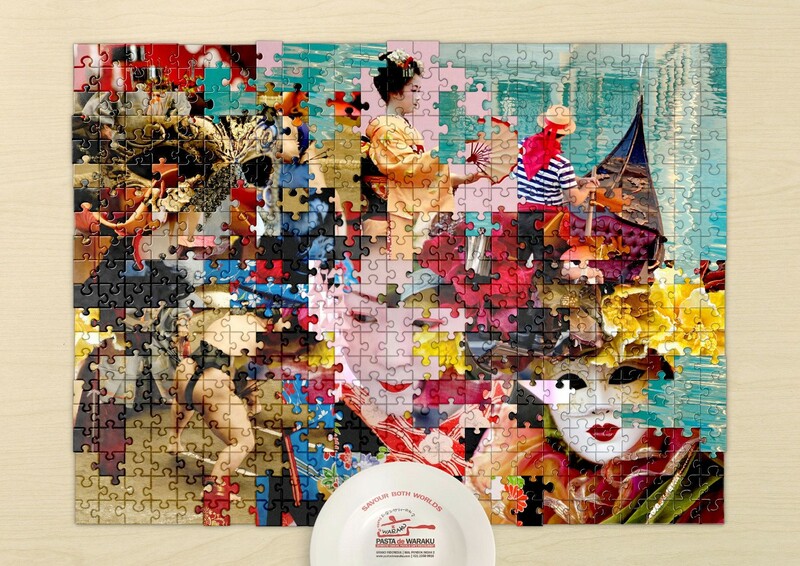 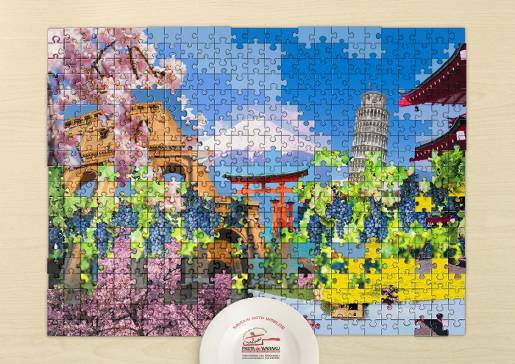 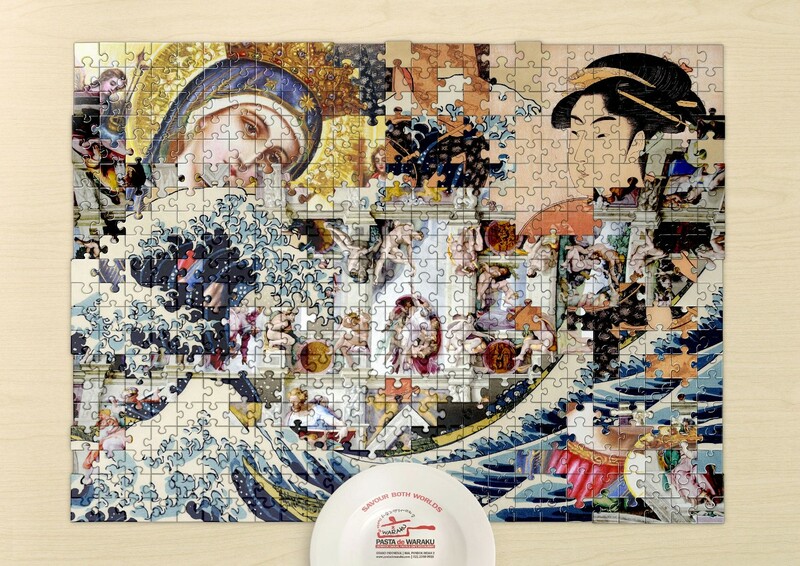 Pasta De Waraku, a restaurant group run in Indonesia by Ismaya Group, is promoting its menu of Japanese style pasta with a series of jigsaw puzzles combining Japanese and Italian imagery. “Savour both worlds” is the tag line, associated with Art, Culture and Landscape. The Pasta De Waraku campaign was developed at Bates 141, Jakarta, by executive creative director Hendra lesmono, art director Andreas Junus, copywriter Iyan Susanto, with photography from Stock Photo and Handri Karya, and illustration by Geppetto.